Windows Phone hits a data usage snag - and it's not even its fault. Microsoft has confirmed that the Twitter client on its People hub might be causing some Windows Phones to re-download contact profile images over and over again, leading to a data drain. The Verge, who reported the issue to Microsoft, is suggesting that the problem may be caused on Twitter's back-end. Twitter is currently moving all profile pictures on to another server, and changes being made by the social media giant may have triggered the issue. The drain is dependent on how many contacts you have on the Twitter client within the hub, with users reporting data usage amounts attributed to the hub to be about 530MB, while others have said 412MB over 30 days. 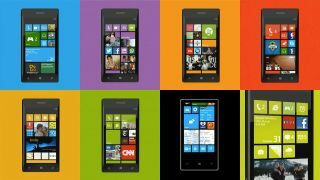 It is not known how long this issue has been occurring for, nor why it is only effecting some users and not others – or exactly which Windows Phone devices. Luckily, Microsoft does have a fix, though it is temporary as company works on a permanent fix. This may take longer as it is being caused by a change made by Twitter change, which Microsoft will need to work around. Microsoft's temp fix is to only have the hub sync to Twitter only once a day to reduce the data impact on users. You can also just unlink your Twitter account from the People hub until Twitter has finished its server migration or Microsoft rolls out a better fix. Despite this problem, the new Nokia Lumia 1520 is still worth a look.